E! News's tweet - "The #GRAMMYs just got so much better. 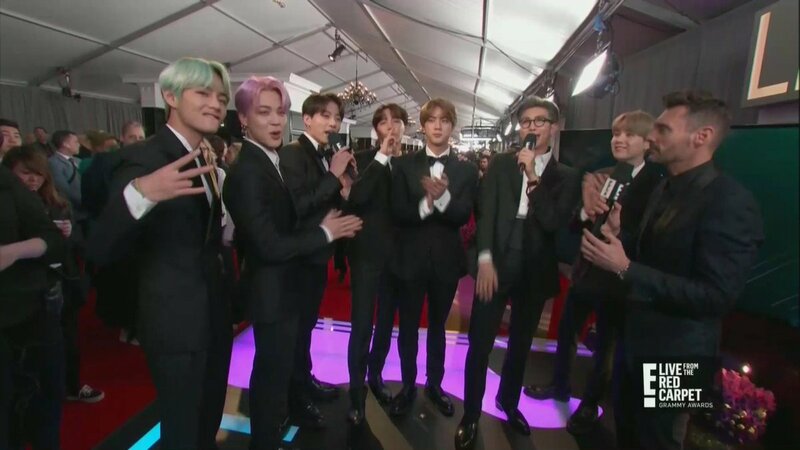 #BTS "
Give credit to @BTS_twt, #GRAMMYs . [TRAD] Los #Grammys se acaban de poner mucho mejor. Jimin tiene el cabello morado! Yoongi being extra POR SUPUESTO.